What is an Economic Education Mini-Grant? Mini-grants are available to help teachers and schools fund effective and motivating curriculum projects that will promote economic education in K-12 classrooms. Funds can be used for many purposes, and creative projects are encouraged! Past grant recipients have used funds to organize a career fair, purchase software for a life skills class, and to buy materials to start a class business. PCEE Mini-Grants are a way for teachers to provide creative economic education projects when other funds may not be readily available. 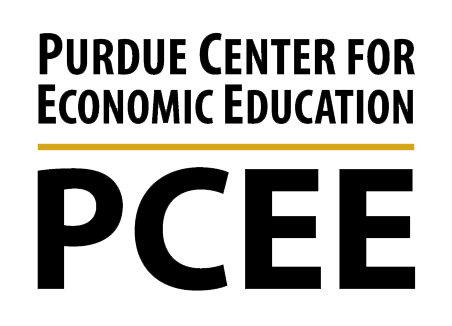 The Purdue Center for Economic Education (PCEE) will award Mini-Grants from $100 to $800 each. 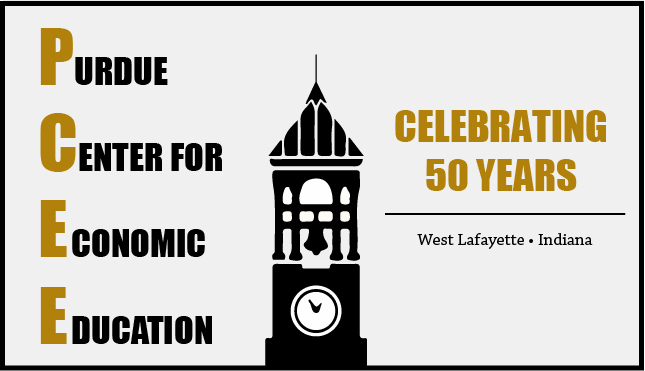 The mini-grants are competitive, and open to all accredited K-12 public and private schools who serve students in the PCEE's 8 county service area which includes Benton, Carroll, Clinton, Fountain, Montgomery, Tippcanoe, Warren, and White counties in Indiana. Multiple schools from the same school corporation may apply for grants. Up to three grants will be awarded. Deadline for completed grant applications for the 2018-19 school year is Wednesday, October 10, 2018. The applications must be signed. Grant recipients will be announced by November 1, 2018. Target date for schools to receive funding is November 26, 2018. Funds must be spent during the 2018-2019 academic school year. The scheduled time frame of the awarded project is flexible; however, all grant monies must be expended by June 30, 2019. A final report describing the funded project and a detail of grant expenditures is to be submitted to the PCEE by July 30, 2019. Any unused funds over $1.00 (one dollar) must be returned to Purdue University. Consumer economic proposals and proposals that support financial literacy are eligible for funding. Ineligible expenditures include salaries or computer hardware. Preference will be given to proposals that allow for a combination of expenditures. 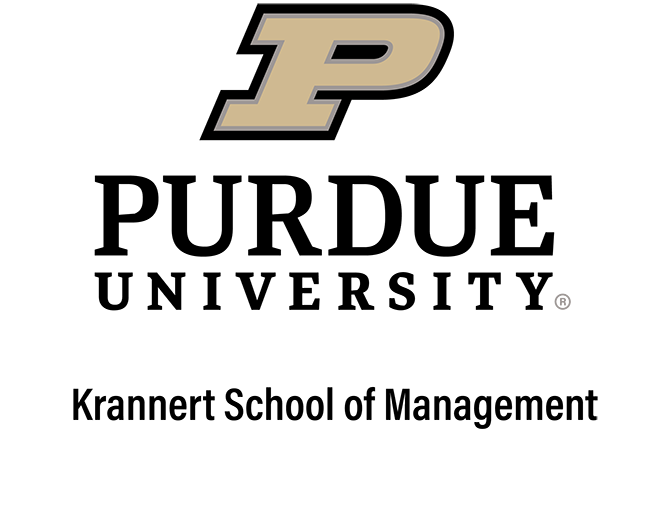 Proposals will be reviewed by the staff of the Purdue Center for Economic Education and the Indiana Council for Economic Education. If you need assistance, please email or call 765-494-7336. We're here to help!